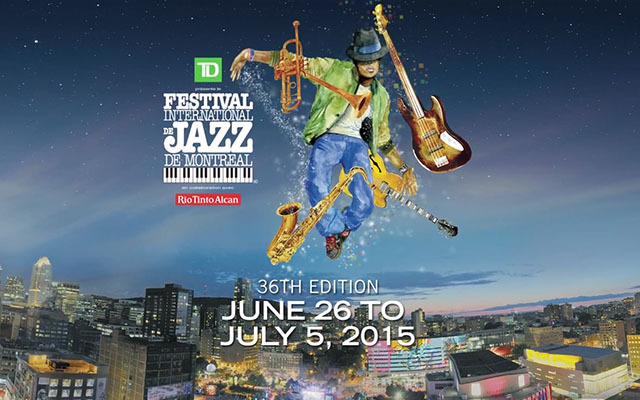 Montreal Jazz Fest is the world’s biggest festival featuring the best of jazz and its musical cousins! Ranked as the world’s largest jazz festival by Guinness World Records, the Festival International de Jazz de Montréal has been synonymous with a passion for music for over three decades. Every year, North America’s French-speaking metropolis welcomes global music fans to 10 days of jazzcentric celebration, where fans of all types of jazz-related music rub shoulders with aficionados of the genre in its purest form. The Festival hosts some 30 countries, 3,000 musicians and public entertainers, 1,000 concerts and activities—two-thirds of them free – in 15 concert halls and on 8 outdoor stages, welcoming more than 2 million visitors to the city, from noon to midnight! And it all happens on a unique site designed to meet festivalgoers’ every need, in the heart of Montreal’s downtown core, in an area off-limits to car traffic! There’s no doubt – Montreal is the heartbeat of Planet Jazz!